This blog has been created by Sarah P. Gibson. For more info please visit my webpage: www.sarahpgibson.com. The homepage artwork (c2013) is courtesy of Abrian Curington, an artist and former library assistant. Island Progress, Maine Island Journal, Vol, 5. 1998, p.79. I am originally from Maine but have lived in Colorado, New York, Louisiana, and Florida and have traveled through most of the states including Hawaii. I have lived and worked in: Brazil, Saudi Arabia, England, Oman, The Marshall Islands, Abu Dhabi (UAE), Libya, and Bahrain, and Algeria. I have traveled to: Canada, Brazil, Peru, Bolivia, Chile, Argentina, The Marshall Islands, Libya, Egypt, India, Ukraine, Poland, Saudi Arabia, Bahrain, Qatar, the United Arab Emirates, Oman, England, Scotland, Ireland, Wales, France, Belgium, Amsterdam, Spain, Germany, Austria, Italy, Malta, and Greece. Employed as a temporary librarian in a small city public library in the United States (Florida). It has been 24 years since I last worked in a public library and 14 since I have worked in the States…what a change! Thank you for requesting I share this position. I will do so, however, please know that this blog is a volunteer effort with the goal of connecting librarians worldwide. Therefore, personal comments and additional information such as which nationalities are eligible to apply, is always appreciated by my readers. Safe travels, Sarah P.
Hi Sarah: I really enjoy your blog, having been an international librarian for several years (now back in the US). Here’s an opening I just found. I’m not affiliated with the organization but thought your other readers would be interested: https://www.indeed.com/viewjob?t=Library+Director&c=Palau+Community+College&l=Palau&jk=3cdbed77de2730a1&rtk=1bn3e6fqs1a0s22u&from=rss. Thanks! Thanks for sharing. I had already been asked to post this position, however, I really appreciate your writing and sharing – and I know others will as well. Safe travels, Sarah P.
I work at Invemar a public/non profit organization which conducts scientific resarch on marine and coastal ecosystems here in Colombia. I´m writting to ask if you can help us via your blog in finding a volunteer to assist us in late november (27th – 30th) where we will be offering an international course on digital repositories. The primary responsibility of this person would be to do real time spanish/english translations during the course. Hi Sarah, Your blog is great! I have been working as an international librarian and now (unfortunately) have to post my job. Is there any way you can post it on your blog? Thanks for writing and yes, I would be glad to post your position. Additional information and comments are always helpful as well as it helps both the institution and applicants to decide whether it would the person/position is a good fit. Also, as I have a worldwide readership, knowing any restrictions on who can apply is appreciated. Hello, Sarah! Fascinating life story. I am wondering if you can give me some guidance: my husband is a school director and we currently live on the Galapagos Islands. We began a library at his school and I have acted as the volunteer library director for the past 2 years. (My last blog post about it is here. http://wp.me/p3Etsq-13f) It has been a successful project and a huge boon for the students. The issue is that we are leaving and I am trying to find a volunteer to replace me. Any ideas as to where to put such a posting? The school can’t offer much beyond a volunteer visa and an opportunity to live on the Galapagos Islands. 🙂 Thank you for any guidance you might have. Thanks for writing and I apologize for the delay in responding. 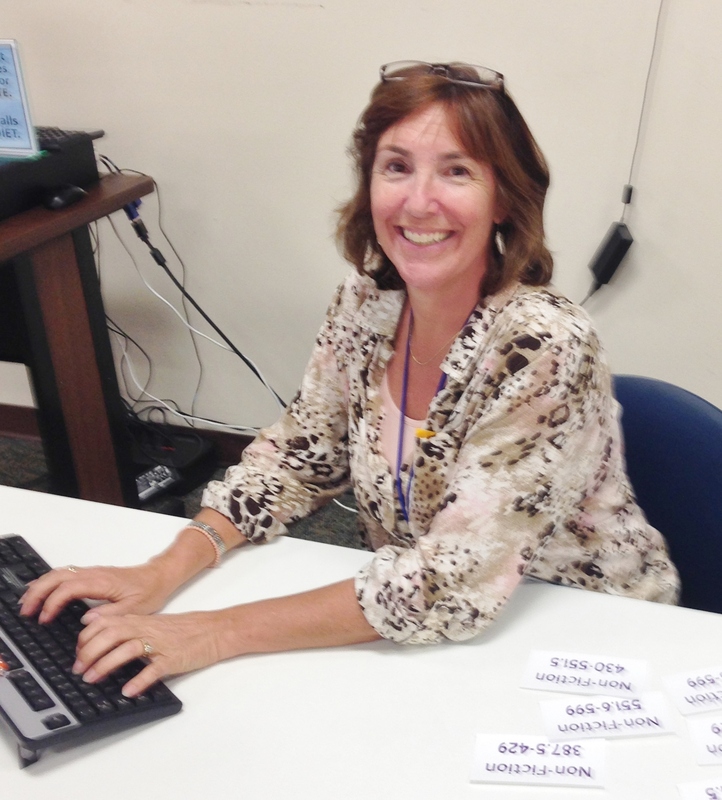 I have been working a temporary contract in a Florida library and it has put me behind. Anyway…the Galapagos Islands!…how cool is that? I can see by the pictures on your blog, that you have done am amazing job with the library. Of course I can put out a call for a new volunteer via this blog. Would you be able to provide a short write-up about what the school and what, if anything, they could provide? I know you said not much but if they are able to help with a visa or subsidized housing, it would be good to share that. An estimated cost of living would be very helpful. Also, does the Charles Darwin Foundation Library still host volunteers librarians? They have in the past and, since you are there, I am curious to know what information you might have about that opportunity as well. I am about to travel for a week but then I shall be posting again. If you could provide some info, I will post this opp when I return. I could also feature you in a ‘Spotlight’ for international librarians if you are interested. It’s basically a short interview and I can send you some questions. I think many folks will be fascinated with your experience in such an unusual location. Safe travels, Sarah P.
I’m so thrilled I just discovered your blog! I’m a recent MLIS graduate, specializing in art librarianship– I worked for one year in Vancouver, and I’ve now taken a job in London. I love it, and I really want to continue exploring, but I was worried it would be tough with my chosen profession. Your blog is so inspiring! Thanks for writing and I hope it is helpful for you in your future. And please feel free to contribute as one of the goals is to create a place where people can exchange info. Safe travels, Sarah P.
First of all, my apologies about the delay in replying. I was away working in Algeria, helping to set up a new school library. My blog and my book are world-wide focused however, because I am American, and because many of my readers are ‘western’, there is some bias in that direction. I have been involved in international librarianship since 1996 and I am happy to say that the US-UK focus is slowly shifting and broadening and I have worked with several Aussie as well as Kiwi librarians, though mostly in the Middle East & Asia. So, from what you have written, it seems there are two avenues for you: pursue the high school librarian option or the law librarian option. High school: far more jobs but lower pay and prestige, and you might get pigeon-holed into that role. Also, they tend to like to hire couples which may be difficult for your partner. If you do like this option, however, it is not impossible. I would try and get IB experience as it would make you more marketable and I would check out Search Associates. They have an Australian branch, and are very open to giving advice. The Law Librarian option is far more specialized which means fewer positions available (ex. I posted four in 2015 but none so far in 2016) but the pay is better and they will be less concerned about your partner not working (although if he wants to this might be difficult). For more information about this option visit the Chapter 7 Book Resources page of blog. One link is for a book called Law Librarians Abroad which I think would be really helpful to read if you can locate a copy (maybe through ILL as it’s expensive to buy and only available on Amazon.com/US). Finally, you can either read my book or look at the Book Resources listed for free on my blog to see if there are any other options which appeal to you. One area which I see expanding opps is that of Archivist. You would have to study for the certificate but, depending on where you do it, it is only 4-5 courses. There is also volunteering, where your partner’s skills would be of use as well. I hope this information is of some help to you. The path to international work is never straight-forward but is achievable if you are persistent! Safe travels, Sarah P.
I wanted to check and see if/how it was possible to post an international job on your blog? Thanks for writing. I see that you are a member of TeachingNomad. I know about this site and just went to re-visit it but the webpage ‘could not be found’. I assume this is a temporary problem? To answer your question, you are welcome to send jobs or job links to me. Please be aware that part of my mission is to post jobs I believe will be positive for those wishing to work overseas so I always try to find out as much as possible about a position – reviews, who is eligible to apply etc. Thus, any information you can share about a position is always helpful in trying to connect good librarians with good international positions. Safe travels, Sarah P.
Sarah, I am so grateful for your website! I’m a current international educator working toward a School Library Media certification. I hope to finish it within the next year and then apply for positions in the field. Thanks for having a detailed, thorough, and well-organized website. I plan to visit it often throughout my time as a (future) librarian! Thanks! That is great. You already have both education and international experience so you will be in a strong position when you apply. I would like to add one more note and it is this: please remember when you do become a librarian that you represent libraries NOT just schools. I find that, sometimes, former teachers still come from that angle and forget that one of the most important aspects of the job is to introduce students to the concept of a library and to help liaise with local public (if available) and academic libraries. We are not there to just support the curriculum. Okay, enough soapbox – thanks for listening and best of luck! Sarah P.
Totally understandable to have that soapbox! As a special needs teacher, I’m already supporting curriculum and I see how the library can be used in that way. One of my main reasons for pursuing this path is seeing how many students don’t use the library for all of its many uses. And I read your article about students who fear the library. I’ve always tried to get those reluctant students to embrace the library. I’d like to be that person that helps them discover the myriad of books available to read, not just the ‘required reading.’ Can’t wait! Thanks for writing…I do have some suggestions and some questions. Working in an international school is the easiest way to gain experience and a foothold in the international market. However, be careful not to get stuck there as the pay and benefits are not as lucrative as other avenues. Is your six months experience related to a school library? If not, then see if you can at least gain some time volunteering in school library and or can prove you have experience working with children. Also, you need to familiarise yourself with the IB curriculum as well as the British National Curriculum and the IGCSE to be as broad as possible in your choice. With an MLIS it is possible to gain an opportunity in an international school but without experience it will be a lower-tier one. I think an avenue for you would be to check out Search Associates Intern Program(scroll down to bottom of page). This is a one-year program where you will receive some pay and all the benefits and will be mentored. Search Associates is a reputable agency who represents many different schools. If possible, see if you can be hired by an IB World School as that is the most popular curriculum these days. This space is too small for me to share all the details about hiring agencies, etc. so I would like to ask you to please read my book as I think it will help answer many basic questions and then write to me again regarding specifics. You did not say when you are graduating? FYI: the hiring season is mainly over for next year however there are still positions cropping up. If you are available for next year this could be good for you because administrators will be needing to fill these positions and many candidates have already been hired. Just make sure that the school is a quality one by checking International Schools Review (you need to pay to join this but it is well worth the money). Also, I post school opportunities on the blog but only ones I have checked out and/or know about. Best of luck, please keep me posted on your progress, safe travels…Sarah P.
Hey Sarah, Thank you very much for the advice. I am currently looking at the recent vacancy in the American International School Johannesberg. Currently finding the application process confusing I am unsure if Librarians have to provide the same documentation as teaching staff? It looks like a wonderful opportunity even if South Africa is a bit turbulent at the moment. Thank you for a wonderful blog and I hope you are keeping well. One of the issues of being a school librarian is that application and teacher review systems are geared toward teachers and you have to constantly remind the powers-that-be you are a librarian not a teacher (hence my intense dislike of the term teacher-librarian). Anyway, enough of that soapbox. I just went and checked the AISJ site and see they are requesting “Certified teachers with a minimum of two years teaching experience are requested to submit a letter of interest, resume, and supporting documentation (such as statement of philosophy, letters of recommendation) by email to recruitment@aisj-jhb.com” and you should address your letter to Mr. Geoff Smith, High School Principal. This is standard practice. For a librarian this means submitting your SMS certification and your teaching philosophy as specifically regards to Information Literacy (for 21st Century Learners). It is also helpful to have on your resume after-school activities and/or any coaching you can do. I am assuming you have school media certification. If you do not then that is another subject…not insurmountable but write me and I will let you know how to accomplish this. Please note that AISJ states that “the vast majority of teachers are hired through interviews held at recruitment fairs in North America, Asia, and the United Kingdom.” While times are rapidly changing and librarians are generally hard to find, you will still stand a better chance at being hired if you attend a recruiting fair. Personally I prefer Search Associates but ISS is now offering an online fair (Nov. 24) which is an easier commitment both financially and time-wise. If you do not want to join an agency or attend a fair then there is still a good chance of obtaining a position but it will not be until later in the season (spring). Best of luck, Sarah P.
Hi Sarah, Thank you so much for you advise and time. I would love to attend the Ifair in November I am just wondering how to sign in? I have tried to use the ISS and similar services but the paywalls are a deterrent. An event like this would be ideal. In regards to the School Media Certificate I am unsure of what that is. The Librarian course I took in University College Dublin in the Republic of Ireland is an MLIS recognised by the ALA, CLA, ALIA and LIANZA along with member states of the EU. I am unfamiliar with the course differences and requirements outside of the British Isles. So this is a learning curve. Thank you again for all your help. I would suggest contacting Search Associates as they also offer an intern placement which is for one year and is paid and chat with them about your CV and experience. If you can secure a position this way and like the lifestyle and the school environment, you can proceed to the step of having your transcript evaluated by a US agency which does this (for a fee of course!) and then send this to a state education agency who will tell you which education course you need to take in order to earn US certification. This is a very brief overview as I think this might be down the line for you. I hope this information does not overwhelm and don’t be discouraged. My first time out I was hired with my certification still in the works and my husband’s as well (he was a teacher). It was June and the school desperately needed a librarian as they were facing an accreditation visit. My former assistant who is not American achieved certification in the way I described above and now she is a librarian in Denmark. So it can be done! Hi Sarah, Apologise for the lack of activity it has been a few funny weeks. I took your advice and contacted Search Assoicates about the internships. They advised to register with the group for full time positions. I am unsure if any school will hire me fulltime but I intend to inquire about the intern positions. Thank you for your advice. Well, that is an interesting development. My opinion is that I am not surprised they suggested this as there are generally more librarian positions than librarians available. So, I think it is probable you will receive an offer though it might be later in the hiring season (spring). However the question is: what is better, a position in a lower-tier school or a internship in a quality institution? The pros of the first are that you achieve a two-year contract and a foot in the international world. The cons are that lower quality schools can be tough places to break out from because the administrators are lower quality as well and, remember, they write your reference! Also, an internship is only a one-year commitment and you can see whether you like the international life before making a longer commitment. Please keep me posted on your progress and I know that all the readers of this blog would appreciate your sharing anything you learn on your journey. Best of luck, Sarah P.
Thanks Sarah. Happy New Year. Apologise for the late reply but I was just accepted by Search Associates today and invited to a jobs fair in London. I am delighted with the outcome and curious about the fair. What should I expect? Is there a dress code? Suits or just smart casual. If anyone has any advice I would be delighted to hear it. Thank you for all the advice and support during the application process. Congratulations! Whatever happens I guarantee you are going to find this an interesting experience. There is nothing like the buzz of an international job fair. I have a lot of experience with job fairs including the London Search Fair but the times they ‘are a changing’ so my advice is: first read the chapter in my book on school librarians & job fairs, then visit the International School Reviews Articles section (this is free) and read the Chronicles & Essentials articles. Regarding dress code, I have seen all sorts of attire but the majority of men tend to wear nice trousers, button-down shirts, and ties. Good to have a coat with you just in case and/or for the cocktail party at night. I am sorry if you already answered this question but are you applying as a single candidate? I ask because there are different strategies and options if you are single, single with a non-teaching partner, or a teaching couple. If you let me know, I will try and advise. In the meantime, best of luck and please consider writing/sharing your experience as I know there are several other librarians who will be very interested in following your experience…and I am one! Cheers, Sarah P.
Hey Sarah, I am applying as a single candidate and thank you for the advice on the dress code. Unfortunately I cannot afford to stay for the whole conference and I must head home after a day or two. Applying as a single candidate will put you in a very good position. Not staying for the whole conference could be a negative but if you are there for the sign-up and early interviews then at least you will have presented yourself in person and they can contact you after. Some schools will want to sign candidates to contracts on Saturday or Sunday. Saturday offers usually are for experienced candidates or for those who have already had preliminary interviews. Sunday offers are for those positions which are harder to fill (often specialists) and for which a candidate is a good fit. However, there are many schools which will not make a decision immediately as they are trying to fit couples into positions first (single candidates second) and will contact you later. It all depends on supply and demand. Traditionally, librarian positions are hard to fill and as you are a single candidate this makes the decision easier. Either way, if you can at least stay through Saturday mid-day, it should be okay. I would also let your Search Associate rep know this so they can help advise and guide you. Please let me know how it all goes for you…safe travels, Sarah P.
Hey Sarah, I am aware that my situation is not ideal, but it is honestly a case of just not having enough money to spend the entire weekend in London. As it stands my flight home is midday Saturday. It is unfortunate but that is how things stand for me at the moment. Yes, I completely understand. London can break the bank and fairs can be so expensive. The good thing about being a librarian is that there will only be so many positions and of those only so many you will be interested in. So, when you do the interview sign-up they will probably want to interview you first anyway (above regular classroom teachers) and also, these days, there is Skype for later interviews so I believe the fair will still be worth your time. Plus it is interesting to have in one space so many people interested in the same thing you are: working internationally. Cheers, Sarah P.
The first question I have for you is about nationality/passport status because the answer depends on where your husband would like to train and whom teach would like to work for. While there is a great deal of crossover in international schools, generally schools like to hire teachers with experience in the curriculum they offer. Also, in a few cases, they are restricted by their charter to hire certain nationalities only. For US curriculum, yes, studying online is possible as long as you can arrange to be mentored by an accredited school and who will supervise the student teaching component. If your first degree is not from the US it is possible to have it ‘translated’ however your husband will need to enrol in a qualified online program rather than just send his transcript to a state for a list of courses which must be taken. There are several international-based US programs which offer online and/or summer study which will lead to a teaching qualification. If you would like to earn a UK qualification then there are several different ways to do that. I have lived in the UK and know several British teachers but am less familiar with the route. Here is a site which might be of assistance: Postgraduate Teacher Training Routes. If you could share some more details, I will be try to be more specific. Safe travels, Sarah P.
Sarah, your link to your website is not working. Received your email. I am a university librarian who will be retiring in February 2015. Would like to travel. Making plans to visit all the Presidential Libraries before the Presidential elections. Is your book on traveling tips only online? I will be purchasing it soon. Thanks for letting me know – I have fixed it! (http://www.sarahpgibson.com). 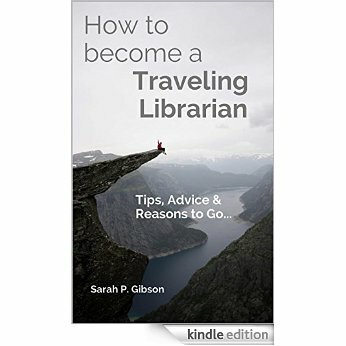 I try and check my links regularly but lately have been caught up in chatting with librarians who wish to travel – which is a good thing. I like traveling with a purpose and thus like your idea of a presidential library tour. I am not sure whether you are interested in writing but I think it would make a great article for LJ. Currently my book is only in ebook form but I am working with CreateSpace at the moment to create a print version and will let everyone know when it is available. Publishing is an interesting business I am discovering and I think the knowledge I am gaining is actually helping me assist patrons with ebook questions.